Carmelo Zuccaro, the Chief Prosecutor of Catania, Sicily, has testified to a committee of the Italian Parliament in March that an official investigation into the funding of a fleet of modern refugee boats in the Mediterranean by private NGOs is warranted. He cited evidence that the human traffic smugglers in Libya and other North African coastal states, often reportedly linked to ISIS or other criminal bands, were coordinating the traffic into Italy of tens of thousands of illegal refugees. Zuccaro reported evidence that the human traffickers either on land, or on board smaller migrant boats, call the larger NGO-financed rescue vessels directly to arrange transfer of refugees. That implies a very close level of coordination between the human smuggler bands and the NGO-funded fleet of ships. Zuccaro announced that his office is investigating what he called the “abnormal” amount of funds that allows even small agencies to hire ships. Italian authorities have so far uncovered at least ten private Non-Governmental Organizations involved, among them several NGOs financed by US hedge fund speculator George Soros’ Open Society Foundations. Zuccaro also told Italian press that, “the facilitation of illegal immigration is a punishable offense regardless of the intention.” He said that Italy was also investigating Islamic radicalization occurring in prisons and camps where immigrants are hired, illegally or off the books. European Immigration Commissioner Dimitris Avramopoulos stated that some 80% of the North African migrants arriving in Italy had no legal right to asylum. Many were reportedly from criminal gangs that sprang up after the 2011 US-backed bombing of Libya and killing of Gaddafi that threw the country into anarchy. Over the course of the past year as the refugee human trafficking route through Greece has been all but closed down, the route into the EU from North Africa has shifted to southern Italy and to use of modern chartered vessels to carry the thousands of refugees to Sicily and other parts of Southern Italy. In the first two months of 2017 illegal refugee inflows from Libya into southern Italy have risen by as much as 40% over the same period a year earlier. Frontex raised the possibility that traffickers were putting migrants out to sea in a prearranged collusion with the private NGO ships that recover them and then bring them to Italy “like taxis.” What the EU agency described is a human smuggling operation, in effect, operations of international criminal organizations including ISIS, being run by ships chartered or owned by various Non-Governmental Organizations among them Soros-financed NGOs. Italian admiral Enrico Credendino, commander of the EU’s anti-trafficking Operation Sophia, said the NGOs’ ships come close to the Libyan shore to attract migrant boats in the dark. “At night they use large floodlights; the traffickers see them and send the dinghies (carrying migrants) towards the lights,” he stated. Then they are taken aboard the larger NGO ships for the journey to Italy. Soros NGOs working with ISIS? If the Italian investigations into the NGO funding of the fleet of charter ships are confirmed, this would suggest that the NGOs, several of them linked to foundations or organizations financied or controlled by George Soros, are colluding illegally with human trafficker bands, in many cases bands controlled by ISIS in Libya. A 2017 report by Quilliam, a private UK think-tank, claims that ISIS or the Islamic State (IS) is involved in the human trafficking operations into Italy. Their report states: “While some refugees may have to pay smugglers up to $560 for passage towards the Mediterranean coast, IS, capitalising on this route, offer free passage to those willing to join IS…To those reaching the Mediterranean coast, IS offer potential recruits up to $1,000 to join the organisation. ” Not exactly humanitarian. US human rights investigator and lawyer William Craddick has discovered that several of the NGOs chartering the human smuggling boats ware linked to financial patronage of George Soros and his Open Society Foundations including avaaz.org of the Soros-funded Moveon.org; Save the Children, and Médicins Sans Frontiéres (MSF) which charters a Mediterranean ship called Aquarius. 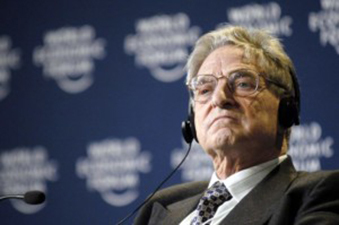 Soros’ Open Society Foundations, which also has been reported to receive money from the US Government through the CIA-linked USAID, also funds something it calls the International Migration Initiative, an NGO Soros’ Open Society Foundations set up in 2010. Clearly the idea behind creation of Soros’ IMI was done with an eye to what would soon unfold in Europe as well as the USA refugee crises. The website of the Soros International Migration Initiative openly states that it has a “strategic corridor approach, facilitating coordinated action in countries of origin, transit, and destination.” The same website identifies what it terms three strategic migration corridors: Asia/Middle East, Central America/Mexico, and Eurasia, which centers on Central Asia into Russia. That almost sounds like a geopolitical grand design of someone. In September 2016 the same George Soros announced he was “donating” $500 million to the European and US refugee cause. He declined to say where and how the money would be used. Was part of that earmarked for financing the fleet of modern NGO ships that bring tens of thousands of refugees from Libya? A relevant question to be sure for the Italian and other investigations. In August, 2016 DCLeaks, a US website similar to Wikileaks, released 2,576 files predominately related to George Soros’ Open Society Foundations. One memo by the Soros foundation dated May 10, 2016, argued that Europe’s refugee crisis should be accepted as a “new normal,” and that the crisis means, “new opportunities” for Soros’ foundations to influence immigration policies on a global scale. The Merkel Plan for accepting hundreds of thousands of refugees without question into Germany and other EU states with no number limit, “the new normal,” the term used by Soros’ International Migration Initiative website, was a product of the Soros networks as well. The author of the Merkel Plan and head of the ESI is an Austrian sociologist, Gerald Knaus. Knaus is a member of the George Soros-financed European Council on Foreign Relations (ECFR), and an Soros’ Open Society Fellow. Knaus’ European Stability Initiative was financed, according to the German Die Zeit, by among others the Rockefeller Foundation, and the Washington-based German Marshall Fund, as well as Soros’ Open Society Foundations. The recent explosion of illegal refugees into Southern Italy, aided by a fleet of ships chartered by NGOs linked to Soros and others, is no innocent humanitarian good samaritan deed. In December 2016 Virginia Raggi, the Mayor of Rome, said that the city was on the verge of a “war” between migrants and poor Italians. In southern Italy, the Sicilian Cosa Nostra had declared a “war on migrants” in 2016 amid reports that the Italian mafia had begun fighting with North African crime gangs who entered the EU among migrant populations. The allegations of Soros NGO financing of a fleet of boats to illegally smuggle refugees or other migrants from North Africa into the EU suggested at the very least that the Washington-tied Soros networks were doing more than charity. It suggested that his NGOs were at least indirectly complicit in projects that were destroying the social stability of the EU much as Soros’ NGOs did in Ukraine in 2014 and before. 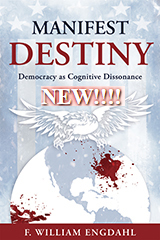 The impression is difficult to avoid that the entire current mass refugee phenomenon, together with the NATO wars that trigger them in places like Afghanistan, Syria, Libya, is part of a far larger and far more sinister design and that the money of George Soros, the character behind virtually every US State Department and CIA-backed Color Revolution since the 2000 toppling of Slobodan Milosevic in Belgrade, is right in the middle of it. Little wonder that the foundations and operations of “philanthropist” Soros are increasingly under attack around the world, including in Viktor Orban’s Hungary, Soros’ country of birth.